In February 2019, a Member of the INCU Management Committee, Mr Samuel Bautista, travelled to Hong Kong where he took the opportunity to visit a Hong Kong-based INCU Affiliate, The Hong Kong Polytechnic University. 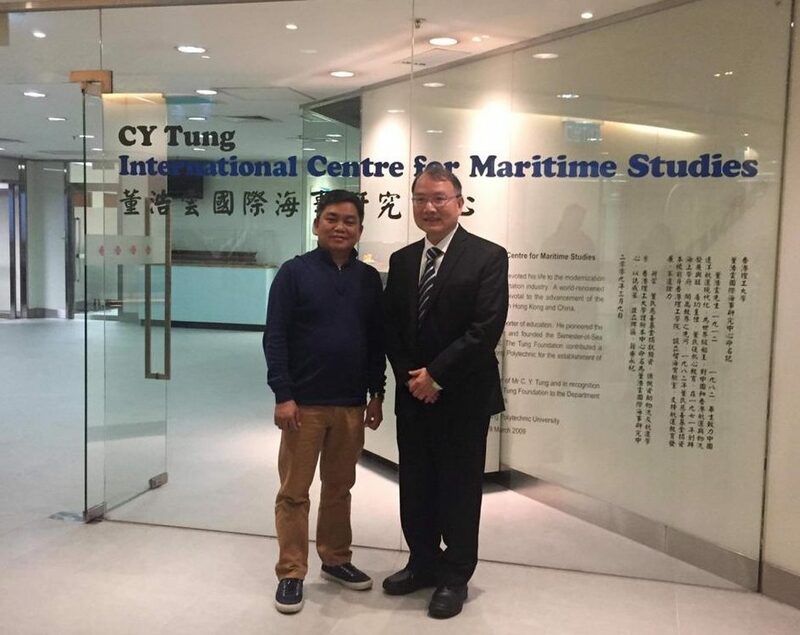 Mr Bautista met with Professor Chin-Shan Lu who is the Director of CY Tung International Center for Maritime Studies and Associate Head of the Department of Logistics and Maritime Studies and updated him on recent INCU activities and developments. Mr Bautista and Prof Lu also discussed how the Hong Kong Polytechnic University might become more actively involved in the work and activities of INCU and they identified several areas of possible cooperation. In turn, Prof. Lu provided a summary of their Centre’s activities including courses they offer, research projects and recent publications and indicated his interest in pursuing closer cooperation with INCU. The meeting concluded with a short tour of the campus and the CY Tung International Center for Maritime Studies.